As if a visit to the J. Paul Getty Museum’s Getty Villa property wasn’t quite interesting or enriching enough, the museum has announced a new series dubbed “Bacchus Uncorked,” pairing together two of the greatest human treasures ever: art and wine. Experts in archaeology, classical history, literature and science will lead talks about wine cultivation and drinking practices, followed by a sommelier-led wine tasting by certified sommelier and professor of wine studies, Mark Botieff. 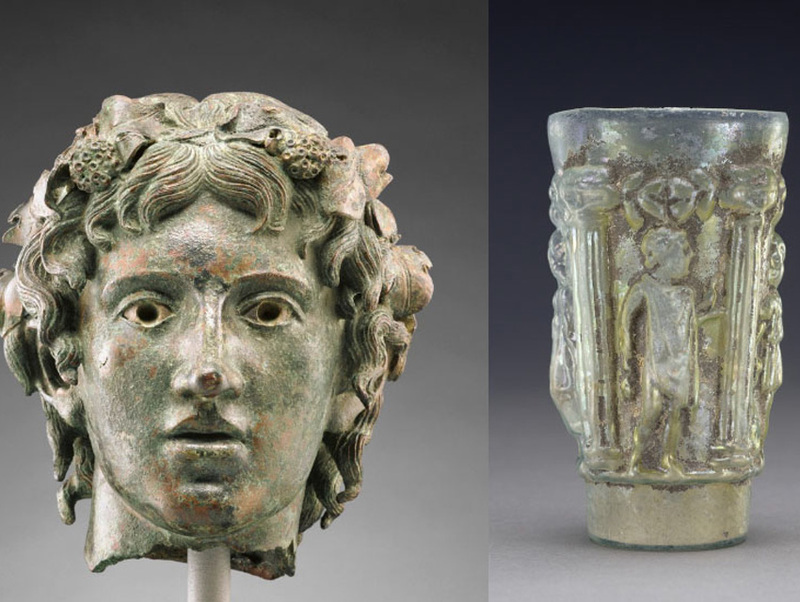 The first event kicks off this Saturday from 5:30 p.m. to 8:00 p.m. and all programs in July are intended to complement the exhibition Ancient Luxury and the Roman Silver Treasure from Berthouville, which is on view through August 17 at the Villa. When: Saturday, July 11 from 5:30–8:00 p.m in the auditorium and cafe terrace at Getty Villa. Admission: $60 advance ticket required. Includes lecture, wine tasting reception, and parking. Details: The ancients believed that it was the wine-god Bacchus—or to the Greeks, Dionysos—who first introduced the fruit of the vine and its fermented juice to humans. He traveled extensively from east to west, sharing his gift to all who would accept him. Join noted classicist and culinary historian Albert Leonard, Jr., as he sheds light on the early history of wine through ancient literature and modern archaeological evidence, and tracks Bacchus on his epic journey throughout the Mediterranean world. Following his talk, enjoy a reception and wine tasting led by certified sommelier Mark Botieff in the picturesque outdoor setting of the Getty Villa. When: Saturday, July 18 from 5:30–8:00 p.m. in the auditorium and cafe terrace at Getty Villa. transforming the cultural, social, and commercial landscape that would become modern France. The luxurious Roman silver wine vessels unearthed at Berthouville in northern France, which are currently on view at the Getty Villa, helps deepen our understanding of the people who acquired and used them. After the talk, enjoy the summer evening with a reception and wine tasting led by certified sommelier Mark Botieff. Reserve a ticket at www.getty.edu.